Unlike standard Windows Event Viewer, Event Log Explorer can print event logs or even separate events. You can also export your event logs to other formats. At the time, Event Log Explorer supports export to HTML, Microsoft Excel and tab-separated text files. For effective event analysis, Event Log Explorer features advanced reporting tools � Analytical Reports allowing you to build different summary tables and summary diagrams. FSPro Localizer is a very simple but effective way to localize your Delphi application. It lets you localize published string properties on the fly. It supports Unicode even with old versions of Delphi. However authors recommends to use it with Delphi 2009 or better. Very small and clear source code with minimal binary overhead. 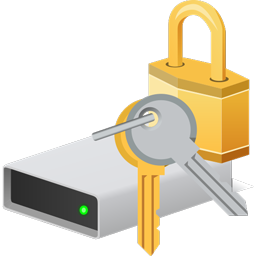 Hide Folders is an innovative software application which enables you to password protect all the private information on your hard drive. You can swiftly make your files and folders inaccessible, invisible or protect them from modification or removal. The protected folders or files are not accessible by users - no matter how they are trying to get in - locally or from the net. Effective protection mechanism, intuitive user interface, and set of fine-tuning options will suit the needs of everyone from novice Windows users to computer experts. Critical folders aware - Hide Folders prevent locking system folders for stability reasons. Freeware: can be upgraded to My Lockbox Professional edition which enables you to protect any number of folders.